Good Morning Most Awesome and Wonderful World Changers! With so much going on, we should be the breath of fresh air that everyone needs. When ever you hear people complaining, you should just start thanking God for all that he has done for you. Thankfulness is the attitude we need to survive. 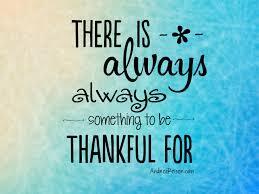 Even in the bad times in our life, we should find something to be thankful for. We should expect the unexpected. Even in that, we should well up with an expected attitude of gratitude! Previous Post Be The Positive Light! Next Post Love Love Love! !